Officially on sale from September, join us for a VIP preview of the car that’s about to shake things up – a lot. Forget the conventional hatchback. 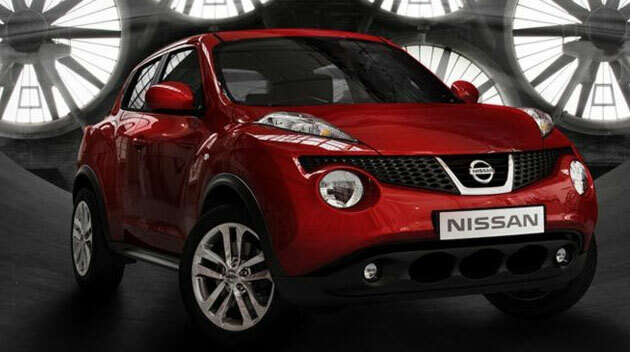 Juke is Nissan’s new unexpected, powered-up compact crossover. Nissan, above the majority of car manufacturers these days, seem to be in favour of pushing the boundaries in terms of aesthetics. When the Nissan Qashqai arrived in 2007 it completely revolted against its forebears; offering a family-orientated crossover vehicle, that had real appeal in the looks department. The rounded and sleek bodywork, high seating position and roomy interior helped it stand out from the crowd and really turned Nissan’s ailing fortunes around. With the introduction of the brand new Nissan Juke to the stable, you wouldn’t have to be a betting man or woman to guess they would stick with the same winning formula. The Nissan Juke is aimed at breaking the premium supermini market, taking on the likes of the evergreen new MINI and you definitely can’t fault the Juke on first impressions. The only word that can be applied to this newcomer would be ‘striking’. The Nissan Juke’s designers have obviously compiled a kind of figurative’ best of’ in terms of popular Nissan cars of the past. There are design concepts from popular models such as the Pathfinder, GT-R and the aforementioned Qashqai all evident. All of these features have been amalgamated in the Juke and then shrunk down to a more manageable size, making it a very attractive proposition on looks alone. But what about performance? The engine options start with a peppy 1.5 litre petrol and scale up to a 1.6 direct injection turbo petrol model producing 187bhp; not bad at all to a car the size of a Ford Fiesta. There are also a CVT automatic gearbox and four wheel drive options. To be honest, none of the available engine options are likely to get the pulse racing, or please the tree-huggers amongst us, but driving the Juke reminds the occupants that performance isn’t the main crux in the argument for its right to exist. The upper-end of the supermini market, which is squarely where this contender is aimed at, is rarely a battle for the highest BHP, or 0-62 times. It is always more about the style factor; a market that the BMW MINI and the new Audi A1 will be looking to dominate over the next 12 months. However, with its competitive price, startling looks, incredible practicality and original styling, there is most definitely a new kid on the block with a fighting chance of becoming a best seller… and it’s putting its jukes up!